“Lawrence M. Krauss's publishing record reveals his knowledge of dark matter, cosmic strings, baryon number violations at the electroweak scale - and the mysterious, sometimes bogus TV "science" that the Star Trek generation cut its teeth on. 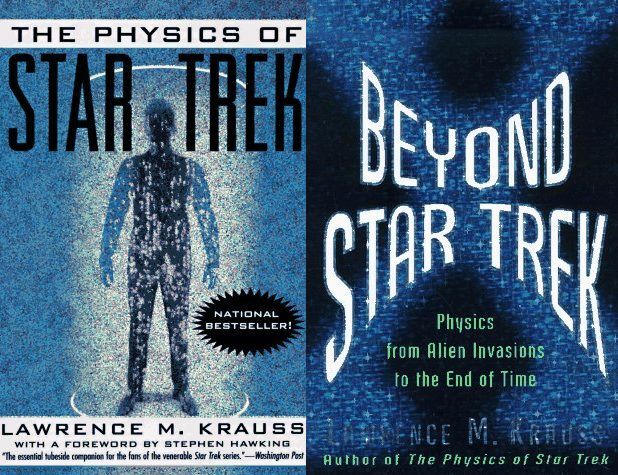 Krauss's previous book, The Physics of Star Trek, was readable, educational, and clever, never talking down to the layman or trivializing physics. In this equally amusing companion volume, Krauss analyzes more science in Star Trek and the next generation of sci-fi movies and TV shows. Can telekinesis exist? How about ESP? Like Fox Mulder of The X-Files, we want to believe, and Krauss finesses these issues, allowing, after much discussion of gravity and electromagnetic forces, that "there is little doubt that undiscovered forces...exist at some level". He's a bit harder on the alien spacecraft of the movie Independence Day, arguing that objects so large inside our atmosphere would exert a downward pressure of 450 pounds per square inch, and that the saucers could therefore crush skyscrapers simply by hovering over them. "Of course", quips Krauss, "this wouldn't have made for spectacular previews of coming attractions". Whether you're a Trekkie, an X-phile, or a serious student of physics, you'll like this book.